October 2nd, Wednesday, 2:20 p.m.
LARGE DEBRIS ACCUMULATIONS. 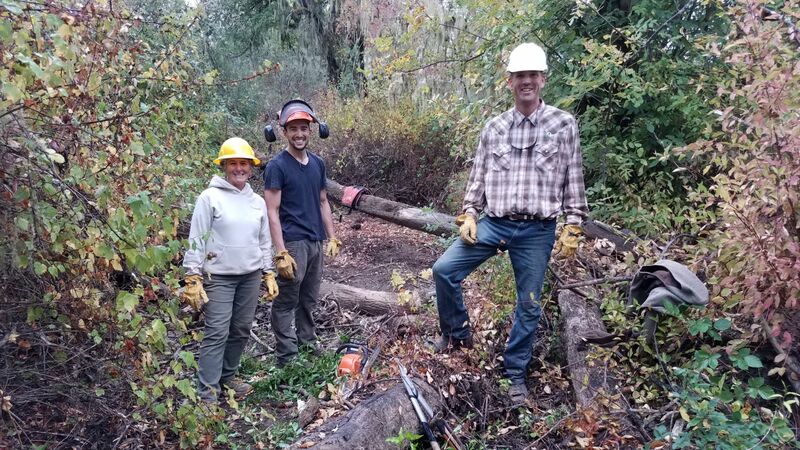 Yesterday and today the Willits RCD team, and fisheries biologist, Joe Scriven from the Ukiah office, have been working on Stream Channel Maintenance. 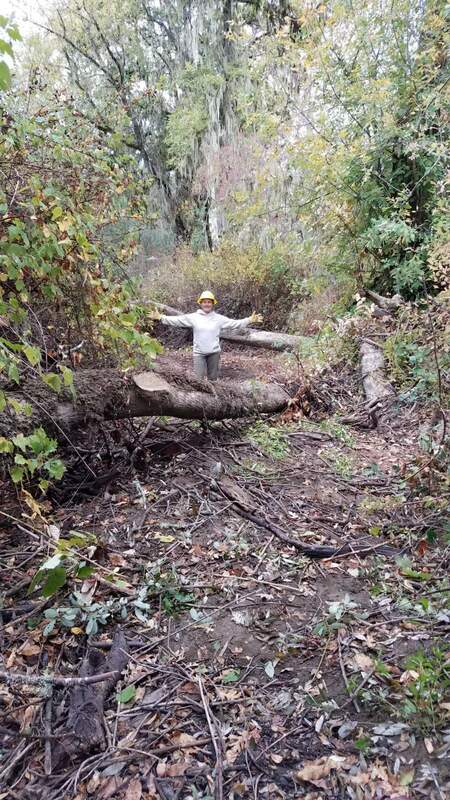 For the last 5 years the stream channels on the Willits Mitigation Lands have been walked in their entirety to identify areas of large debris accumulation (LDA), that prevent Coho salmon migration and that need removal. This is an activity that has been done as needed and is supported by the Department of Fish and Wildlife, NOAA Fisheries, and the Regional Waterboard. It should be noted that this is site-specific, and any work done in a stream channel needs to be permitted by the above-mentioned agencies, and is only permitted when the stream channel is dry. Stream channel work can have a significant effect, good or bad, to a section of a stream, and that is why it is important that all precautions be taken. The agencies take this very seriously, and in this case, although this practice has been completed for the last years the subject was revisited this year, between agency fisheries biologists, to ensure that the management justifies the means. It was again agreed upon that the system in place, a Coho migratory corridor, needs human management to remove these impassable accumulations. The Coho are listed as threatened on the endangered species list and therefor efforts to assist in their success are high priority. 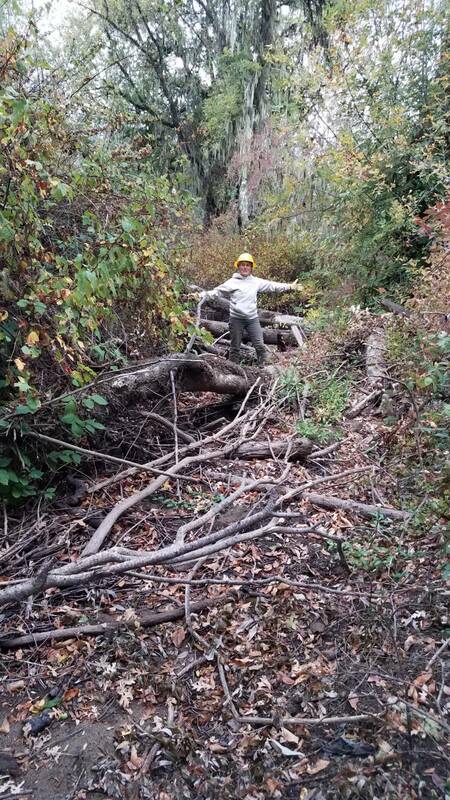 This year there were 3 large debris accumulations discovered on the mitigation lands. The first one that was addressed was cleaned up Monday, on Mill Creek, and can be seen in the attached photos. It should be noted that these debris accumulations were so large that they created a barrier to migration (full width of stream channel, 30+ feet long, tall, dense), and if left unmanaged would likely result in continued debris and sediment build-up., This could likely lead to flooding, the creation of new stream channels, going underground, or creating a sediment blockage that could someday be released in high density; all of which could have detrimental effects on the Coho. WILLOW MATTRESS. The construction and maintenance of a willow mattress is also part of Stream Channel maintenance. This was installed to stabilize a failing stream bank that was made worse by the winter storms of 2016-17. The erosion resulted in approximately 4-feet of the bank being lost in one year, putting one of the main project wells and pump houses at risk. (See photos attached). 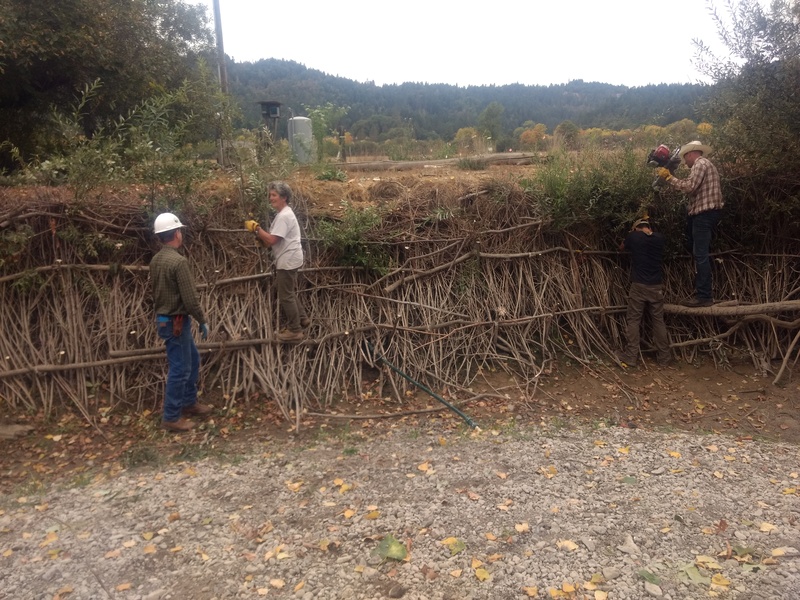 A willow mattress uses long-pole cuttings from live willows as stakes, and willow brush, to weave a living “wall” to protect the bank from direct water flow, and also provides a medium to collect sediment and further build the bank up. As an undergraduate at Humboldt State University, I learned that in the 80’s there were concerted efforts to remove any and all debris from stream systems and that the removal of debris, especially large wood, resulted in the loss of habitat for riparian and aquatic species. This is not the approach today, and it is now understood that large wood and woody debris are an important part of stream ecology. Large woody debris accumulations are a bit different in that these are areas where a large amount of large wood and woody debris has created a blockage to the system, which can be good if they system function can host a pond or flooding. Not all large debris accumulations or stream systems are alike, and should only be removed if there is a justifiable reason and it is permitted by the necessary agencies. Next time you are walking along a stream, take a minute to take a look at what debris might provide habitat, and what debris might have accumulated to create a pond or blockage for fish migration. 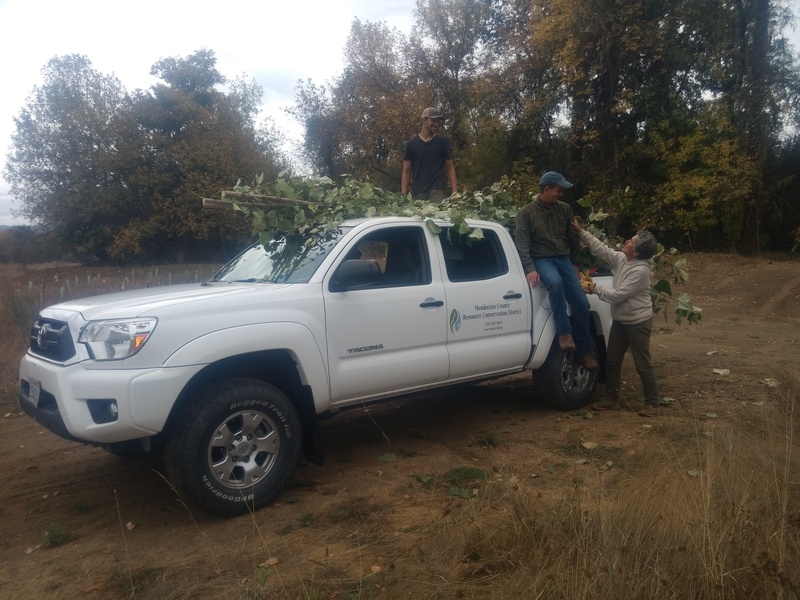 This week’s blog was written by Kristin Cooper, project manager at MCRCD, while blog author Marisela De Santa Anna was out working in the stream channels. Mill Creek large debris accumulation site before clean-up. Mill Creek large debris accumulation site after clean-up.